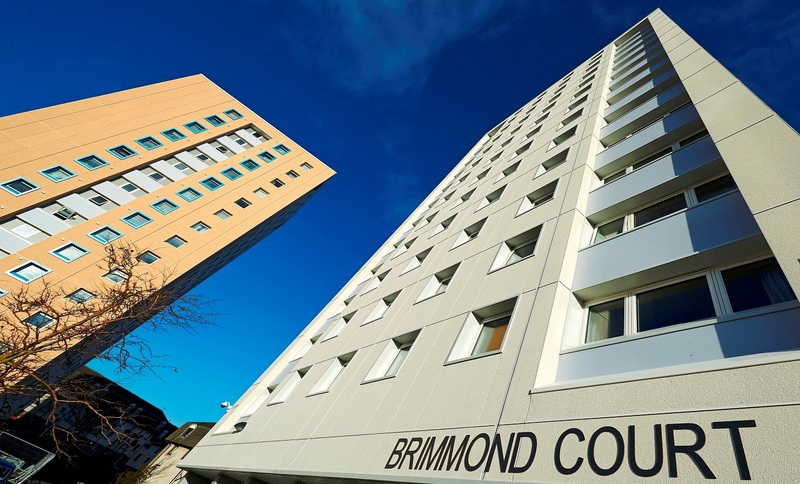 Metal Technology has supplied £500, 000 (installed value) of System 1-35 Hi+(high insulation) Top Swing Fully Reversible windows for the refurbishment of three apartment blocks for Aberdeen City Council. 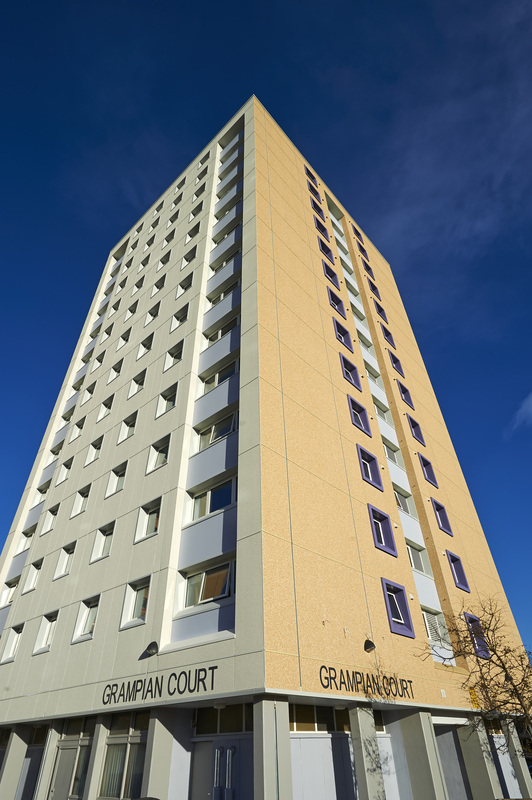 The overall project was to refurbish three multi storey tower blocks in Balnagask , Aberdeen. The work was undertaken by housing refurbishment specialist Lovell, with installation of the windows carried out by Cumbernauld based CMS Enviro Window Systems. 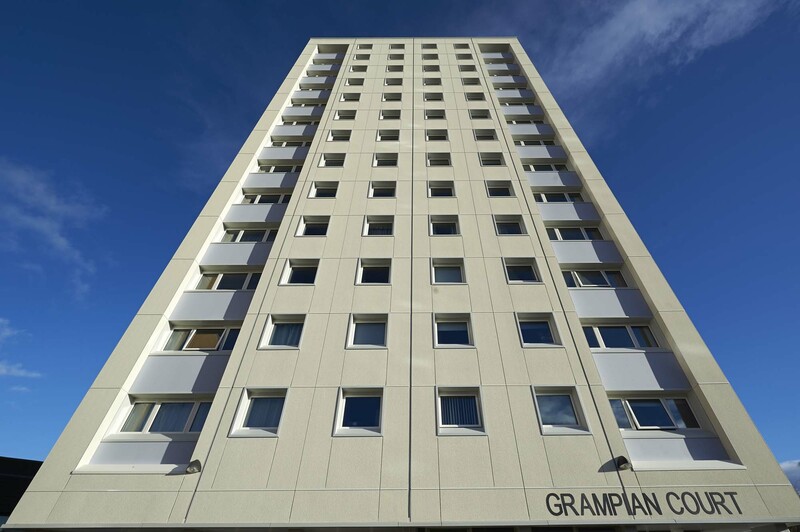 Approximately 1200 triple-glazed opening vents were installed on three apartment blocks in a programme designed to upgrade the flats’ energy efficiency and external appearance. Extra investment in aesthetic values was made with rainscreen cladding adding the final touches. 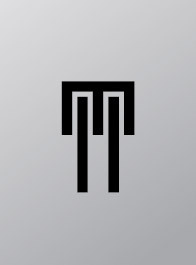 System 1-35Hi+ is a new addition to Metal Technology’s Thermal range. It is a high performance, thermally enhanced top swing window that offers many advantages over other types of window. It is easily and safely cleaned from within the building by reversing the window through 180° and has safety restrictors built in to ensure that it can be restrained securely in the ventilation or reverse position. A risk assessment associated with cleaning windows from within a building, BS 8213: Pt.1:1991 (Table 1) rates this type of window as among the safest. Other advantages include the facility to reverse the window through 180° without the window projecting inwards into the room – avoiding possible damage to blinds and curtains. On the Balnagask scheme, the system 1-35Hi+ in conjunction with the correct glass specification achieved a window U value of 1.3W/m2K. Glazing thicknesses of up to 47mm can be accommodated within the system.